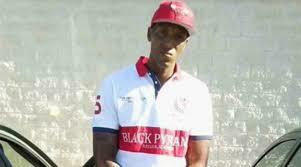 (CNN) — A group of Florida teens who taunted a drowning man while filming his death from afar will not be criminally charged, according to police. In the more than two-minute long video, the five teen boys — who are between the ages of 14 and 16 — can be heard laughing as the man struggles to stay afloat, police say, in a pond near his family’s Cocoa, Florida, home. Instead of calling for help, the teens recorded the incident on a cell phone, chuckling during the victim’s final moments. The state of Florida currently does not have a law where a citizen is obligated to render aid or call for help for anyone in distress. “If there was (a law like that) we would charge them,” Cocoa Police Department spokeswoman Yvonne Martinez told CNN by phone. Police say the incident happened on July 9, but even after the teens recorded the video and witnessed the man drown, they did nothing to alert authorities. “At least one of the teens expressed no remorse while being interviewed by detectives,” Martinez said, claiming the fact that they did not report the incident to authorities further speaks to their lack of remorse. The family of the victim, identified as 31-year-old Jamel Dunn, initially filed a missing person’s report on July 12, three days after he had already drowned. His body was recovered from the water on July 14. A woman who identified herself as Dunn’s sister, Simone Scott, said she received the video of her brother’s drowning on Saturday. She subsequently posted the video publicly on Facebook. Given that Mr. Dunn’s sister has encouraged the public to share the video, CNN has chosen to publish a small portion of the incident, as well as the audio of the teens’ comments in full. Police say that on the morning he drowned, Dunn had gotten into a “verbal altercation” with his mother and “possibly his fiancé,” during which he told his fiancé to “leave the house,” Martinez said. “(His fiancé) left the home at about 12:40 p.m. Based on the video, he went into the water at about 12:50 p.m. and then drowned. He was in the water struggling for one or two minutes for the video portion,” Martinez told CNN. The teens were interviewed by police, during which they admitted to being in the area “smoking weed,” police said. Their identities have not been released because they are juveniles who committed no crime, police say. But the nature of the incident has troubled even the most seasoned law enforcement officials. “I’ve been doing this a long time, probably 20 years or more … I was horrified. My jaw dropped,” Martinez said. “If they can sit there and watch somebody die in front of their eyes, imagine what they’re going to do when they get older. Where’s the morals?” she asked.